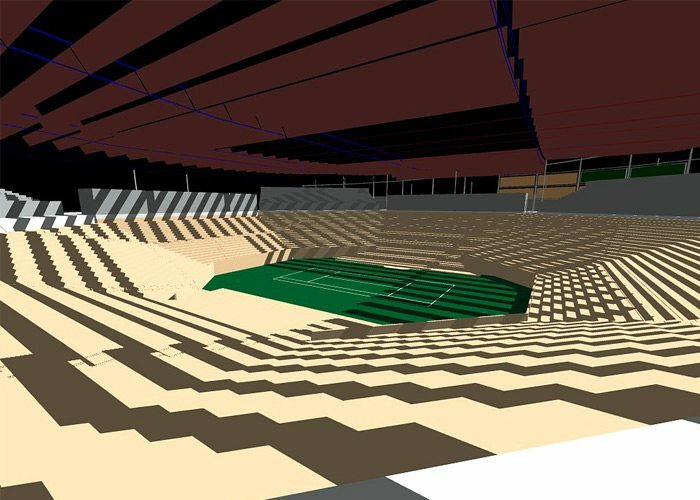 The existing tennis stadium court is 40 feet below the top entry and amenities level and very hot with no natural air circulation. 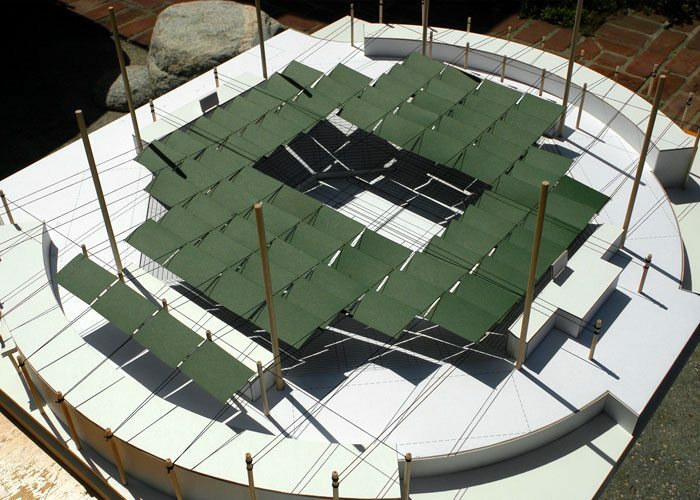 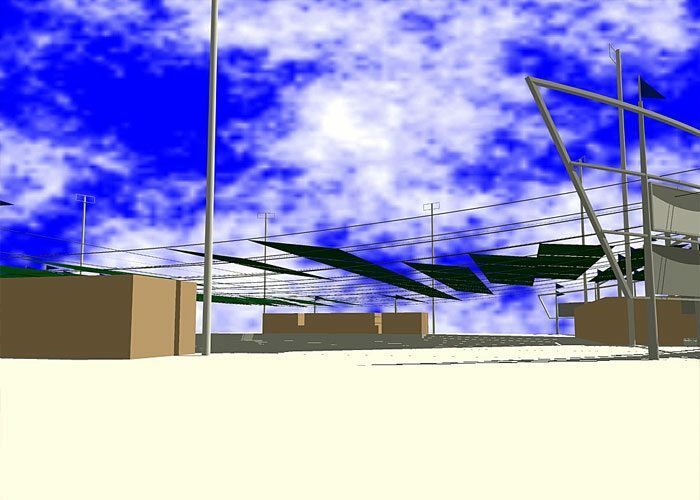 This office was commissioned to study shade structure options with a limited construction budget. 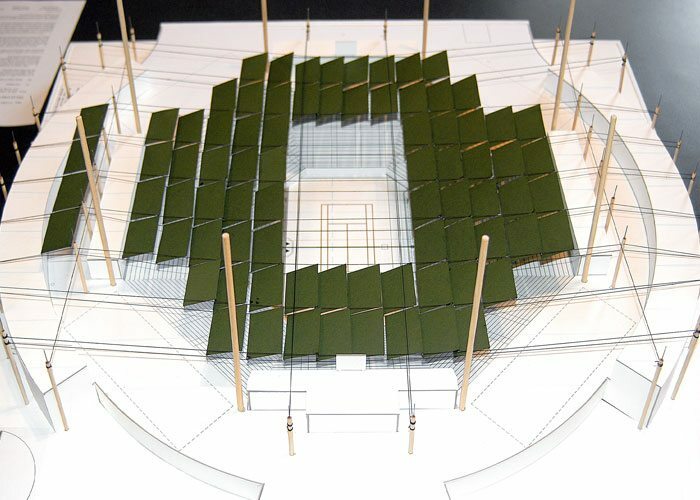 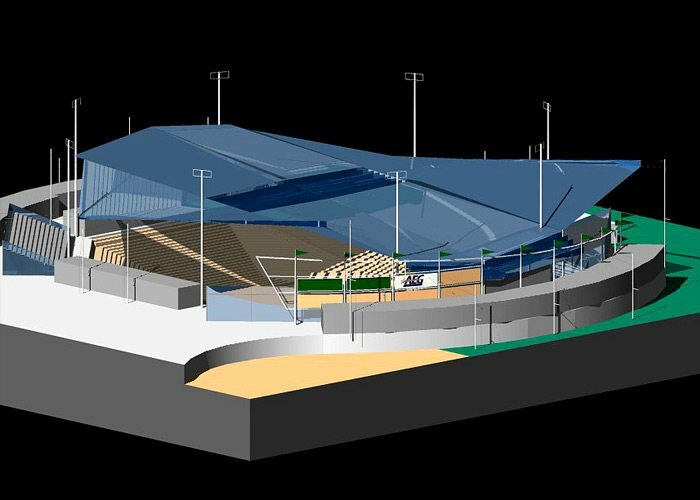 Five different concepts were designed meeting the client goals including soft tension static and dynamic concepts, two sun controlled louver concepts and a rigid retractable shade system.